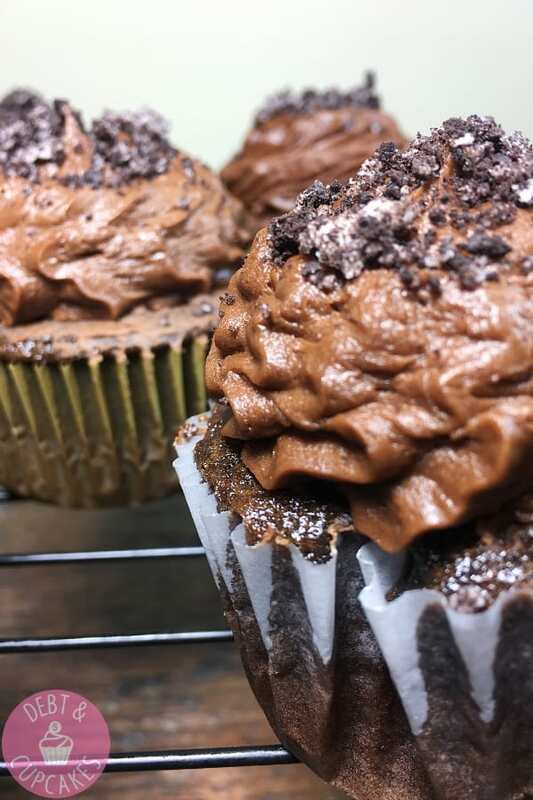 Chocolate cupcakes with chocolate buttercream… Holy moly cupcake is a one two combo to your taste buds (pow pow). 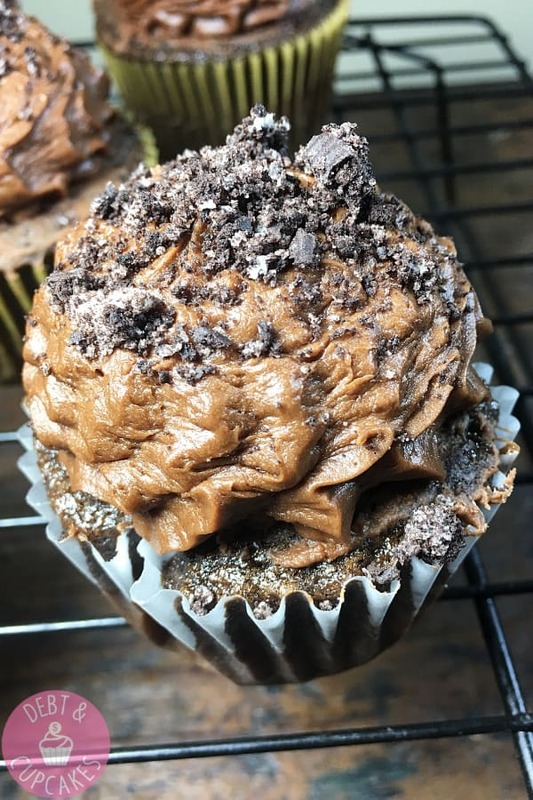 If you’re a chocolate cupcake lover, this recipe will bring you great joy (you’re welcome Marie Kondo). Personally, I wasn’t really a chocolate fan. I don’t know why… but, I just wasn’t drawn to it. This changed that… for good. It’s not often that I bite into a cupcake and think “oh… my lord” but, that happened to me today. This chocolate cupcake is the backbone of many of our recipes, and you need to bookmark this page. 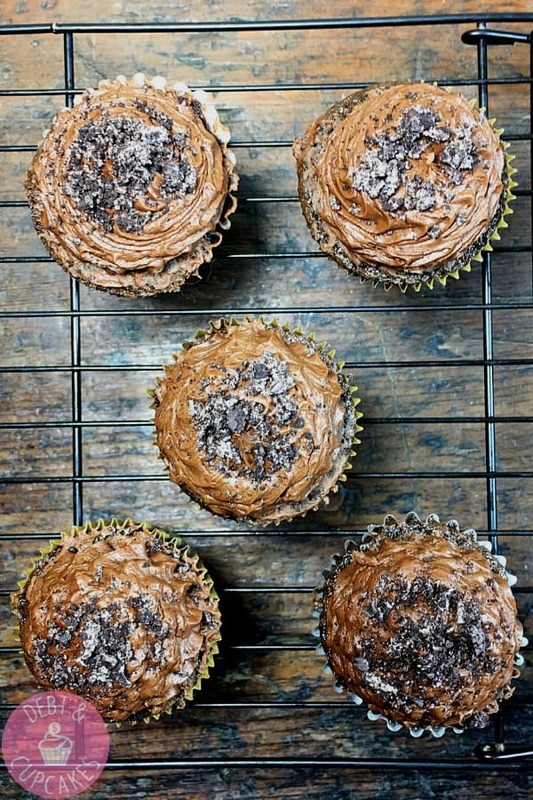 This recipe will serve as your starting point for many chocolate cupcake variations. No matter what type of chocolate cupcake we make, we will always start here from now on… and you should too! Much like other baking recipes, the devil is in the details. Following a recipe to the letter is crazy important. Forgetting an ingredient or mismeasuring will result in trash can additions… trust me, we’ve been there. One of the biggest differences you’ll notice with this recipe is the baking time and temperature. These baby’s cook low and slow. This creates an incredibly moist cupcake. The baking time ranges from 19 minutes to 25 minutes. Our oven is a bit… old. Since things take a bit longer to bake, I started with my timer at 19 minutes and checked them with a toothpick. When it came out gooey, I reset the timer for another 5 minutes. They came our perfect for us in 24 minutes. They are so moist that they almost appear like they’re not completely cooked. You can hear little bubbly popping when you pull them from the oven. If the toothpick is clean, take them out! Allow them to cool for 3 minutes in the pan, remove and place on a cooling rack to finish cooling. Hands off! If you’re a chocolate peanut butter lover, you should totally add a peanut butter buttercream frosting to this baby!! Chocolate buttercream looks amazing and it’s so easy to make. I may or may not have had a spoonful or two from the bowl. I consider it quality control. First taste could be a fluke, 2nd taste is critical to the success of your chocolate frosting. Totally fine. One huge tip is to leave the stand mixer in the pantry. Hand mixers are the way to go when it comes to making buttercream. Bust out your Kitchen Aid hand mixer and ensure that all of the ingredients are mixed to perfection. Chocolate buttercream frosting goes perfect with almost anything. Cakes, cookies, cupcakes, your fingers… literally anything. Personally, I think its best paired with a chocolate cupcake. It packs that one two punch that I talked about earlier. Use a hand mixer. It might take a few more minutes, but your recipe will be mixed well and taste delicious. When filling your pipping bags, use a large cup to hold your bag open. Place the bag inside and fold the edges around the cup rim to hold it in place. It’s a clean and easy way to fill your bags. Crush up some chocolate sandwich cookies to dress the cupcakes. It adds a nice texture to your bite and looks pretty great too! Here are some of the tools we use to create our cupcakes! If you purchase using our amazon affiliate links below, we will get a small commission off the sale and it won’t cost you a dime more! We greatly appreciate your support!! Measure the cocoa powder into a large bowl. Run a whisk through the powder to break up any clumps. Add softened butter to the bowl and cream together until well-combined with a hand-mixer. The texture and consistency is MUCH better with a hand mixer (as compared to a stand mixer). Alternate adding the confectioner's sugar and the milk to the creamed mixture. You can achieve this by adding 1 cup of confectioner's sugar followed by 1 tablespoon of milk, turning your hand mixer onto high for about one minute after each addition. Repeat this process until all of the confectioner's sugar and butter has been added. Add the vanilla to the mixture and combined well. Wow, do those cupcakes look great. 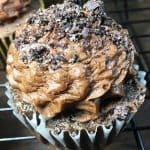 I have to admit I have never been the biggest fan of chocolate cake or cupcakes, despite being a chocolate lover, but I am going to give this recipe a try.